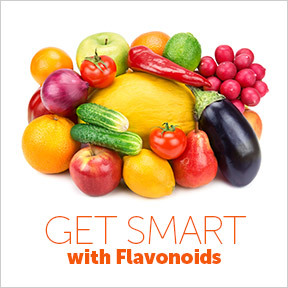 Comments Off on Have You Had Your Flavonoids Today? A healthy diet, made up of nutrient rich whole foods, provides the life sustaining vitamins, minerals and nutrients that the body needs for overall health and function. A healthy, well-balanced diet contributes toward increased energy levels, improved health, better mood and sustained weight maintenance, and there are additional benefits as well. A healthy diet can decrease your risk for a number of serious health conditions such as heart disease, stroke, cancer, hypertension, or diabetes. For some, focusing on a healthier diet may mean learning new ways to eat, including cutting back on sugar, refined grains, processed foods and fast foods, and consuming more vegetables, fruits, healthy fats, whole grains and lean proteins. Sustained elevated mood – Complex carbohydrates such as whole grains not only help to stabilize blood sugar levels, they support the production of the neurotransmitter serotonin, which elevates mood, suppresses appetite and provides a sense of calm. Increased energy levels – Adequate levels of iron, which carries oxygen throughout the body, contributes to sufficient energy production. Leafy greens such as spinach, red meat and eggs are rich sources of iron. Insufficient thiamine contributes to fatigue and poor mood. Getting enough thiamine from sources like cauliflower and grains increases wellbeing and your overall energy level. Steer clear of refined sugars, which give you a quick energy burst but quickly deplete energy stores. Drinking adequate amounts of water daily also helps to regulate energy levels. Improved sleep – Adequate sleep is necessary for healthy function. Sleep not only rejuvenates the body, it regulates mood and is associated with cognitive function. Sleep deprivation causes leptin (an appetite regulating hormone) levels to drop, promoting increased appetite. Among the best natural sedatives is tryptophan, an amino-acid component of many plant and animal proteins. Tryptophan is a precursor for serotonin production, necessary for a good night’s sleep. Reduced food cravings – Spikes, followed by rapid drops in blood sugar, can result in unhealthy food cravings. High quality carbs and lean proteins help stabilize blood sugar levels, reducing dramatic swings in energy and hunger. 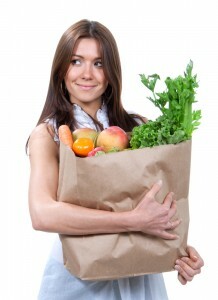 Cravings for unhealthy foods will begin to decrease as your diet becomes more balanced. Enhanced cognitive function – Healthy foods benefit your mind and nourish the cells within the brain. Getting proper nutrients supports cognitive function while dietary deficiencies decrease cognition. Proteins supply amino acids necessary to produce brain signaling chemicals required for cognition. Omega-3’s, B vitamins, and vitamins C and E all support healthy brain function and nerve communication. Good cognitive brain function requires minerals like sodium, potassium and calcium. Salmon and kale are two foods that are particularly rich in brain-friendly nutrients. Healthier skin – Skin requires essential fatty acids to maintain a proper barrier between internal organs and environmental toxins and pathogens. Fruits and vegetables have a high water content, which helps to moisturize and hydrate the skin. 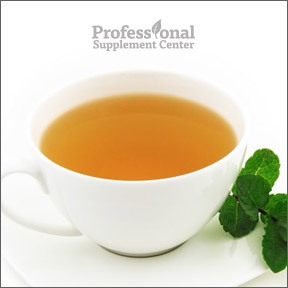 Antioxidants help protect against cell damage. Vitamin C helps to maintain skin health by supporting collagen production and, in conjunction with vitamin E, protects the skin from sun damage. Vitamin D controls the growth and development of deep skin cells and also helps to protect the skin from harmful UV rays. Minerals such as zinc and selenium also support skin health. The key to good nutrition is the consumption of whole food and the avoidance of ultra-processed empty-calorie food. Junk food, whether it claims to be low-fat, low-sugar or low-sodium, is still filled with empty calories that stack the deck against health. Overconsumption is the norm these days, so be sure to control portion sizes to help you reach and then maintain a healthy weight. Sweet Kale by Brightcore Nutrition delivers all the nutrient-dense benefits of raw kale in a quality, organic, non-GMO formula. 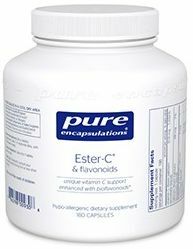 Ester-C® & Flavonoids by Pure Encapsulations provides highly absorbable vitamin C and varied flavonoid compounds for synergistic antioxidant, immune and vascular integrity support. Natural Vitamin E Complex 400 IU with Mixed Tocopherols by Douglas Laboratories contains pure, natural, mixed tocopherols including alpha, beta, gamma and delta tocopherols, which assure superior antioxidant protection. Deeper Greens Powder by Ortho Molecular utilizes the highest ORAC fruits and vegetables with excellent antioxidant, pH, and fiber values. Formulated with organically grown fruits and greens where available.